This township, stretched for 3 miles along to the River Mersey, and stretches inland for 2 miles. The ground in the northerly half rises somewhat steeply from the river; inland there are several undulations, the highest point, at the corner of Smithdown Lane and Lodge Lane, being about 190 ft. The total area is 3,598 acres of which about half, 1,737 acres, was taken within the borough of Liverpool in 1835, and with the exception of Prince's Park is now quite covered with streets of dwelling houses; the outer half, with the exception of Sefton Park, containing 387 acres, has, within recent years, fallen largely into the hands of the builder. This portion also was included within the borough of Liverpool in 1895. 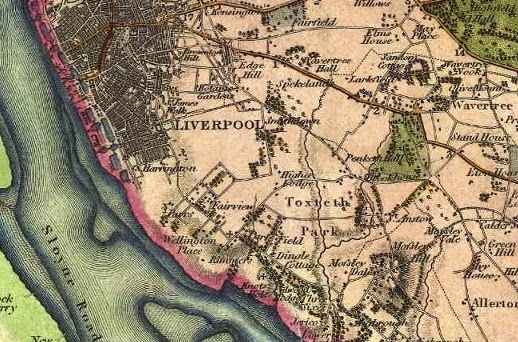 Map of Toxteth Park showing relation to Liverpool, (Greenwood) 1818. Toxteth was known by different names over a period of time, Tokestat, 1207; Toxstake, 1228; Tokstad, 1257; Toxstath, 1297; Toxsteth, 1447. 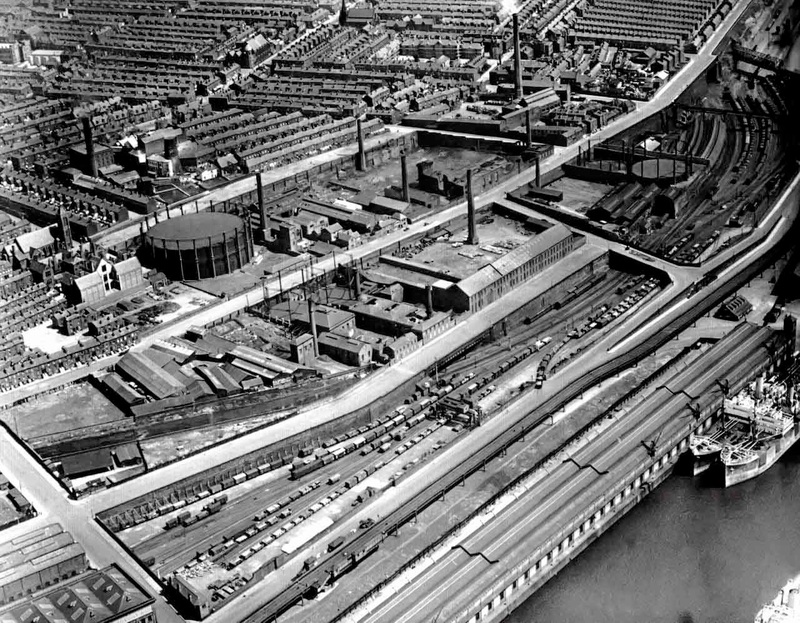 The northern half of Toxteth was for many years densely populated with docks and quays along the river front with the numerous factories and industrial sites. However in the southern half the character of the district changed dramatically, with green fields and trees sloping down to the water's edge instead of stone quays and dock gates, and the neighbourhood becomes an important residential suburb, with larger houses set in private grounds. A brook once rose in the eastern side of Parliament Fields, at the north end of Toxteth, and ran down to the river near the boundary in Parliament Street, being used to turn a water-mill just before it fell into the river. 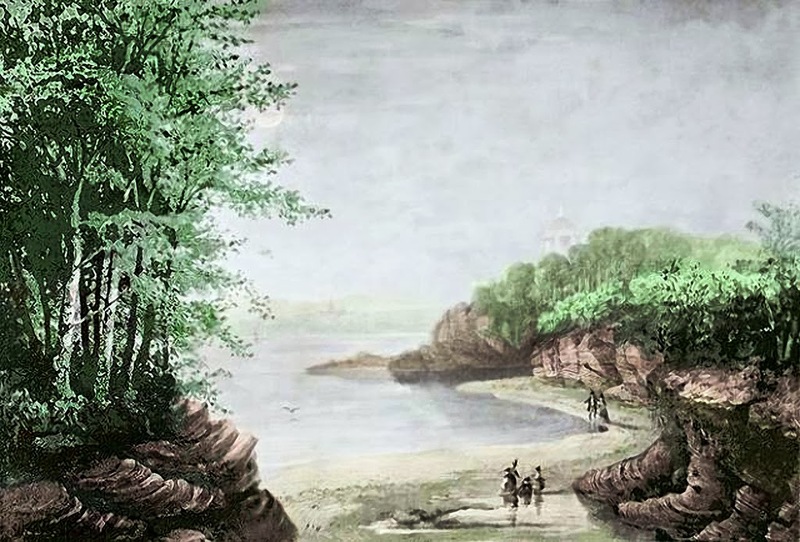 Around about the middle of the river frontage was a creek called Knott's Hole. Another creek once received a brook which rose near the centre of the township, the Dingle lies around the former creek, and around the district named St. Michael's in the Hamlet. Just beyond the southern boundary was the creek called Otterspool, receiving a brook, known as the Jordan, which rose near Fairfield, formed the boundary between Wavertree and West Derby, and then flowed south to the Mersey; it was joined by another brook, rising in Wavertree and flowing south and west past Green Bank. 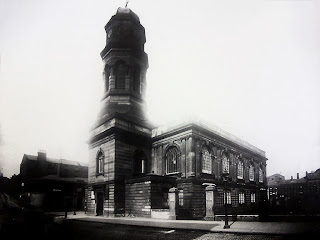 The principal roads into Toxteth were, Park Lane, Park Place, Park Road, and beyond the former municipal boundary Aigburth Road. The elegant church of St Thomas once stood on park lane and was sadly demolished in 1905. Park Road descends into the Dingle and near the bottom on the left is the old Toxteth Chapel. 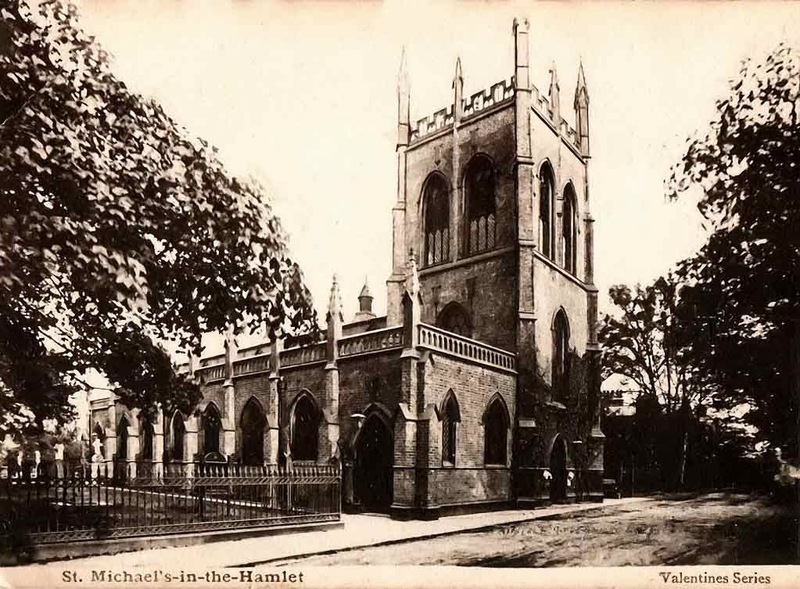 The foot of the hill was in 1835 the municipal boundary; Ullet Road goes eastward to the old lodge of the Park, situated almost at the centre of Toxteth, where the principal entrance to Sefton Park is situated. The main road, Aigburth Road, continues on its way to Otterspool, with the Dingle and St. Michael's on the right and Sefton Park on the left. 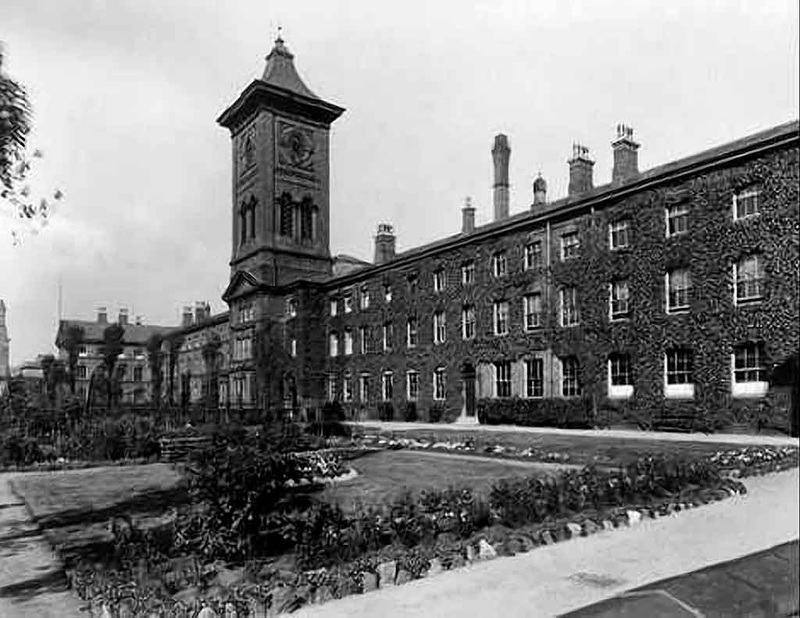 Toxteth Park Workhouse, Smithdown Road. 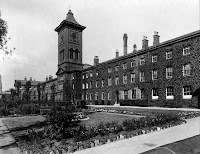 It later became Sefton General Hospital. Asda stands on the site now. Smithdown Road, formerly Smithdown Lane, forms on the east or inland side for some distance the boundary where Toxteth cemetery is situated and the site of the former workhouse which later became Sefton General Hospital. It is joined at its northern and southern ends respectively by two ancient roads, called Lodge Lane from the old Lodge, and Ullet Road. The development of early housing meant that Toxteth had a vast number of streets and terraced housing. In particular around the Dingle and Parliament Street areas. Housing was a necessity to provide homes for the thousands who worked on the docks and other industries in the area. Parliament Street follows the northern boundary line from the river to Upper Parliament Street and Prince's Road runs from there to the entrance to Prince's Park. The Liverpool Overhead Railway had a terminus at the Dingle, and ran from there along the docks, with southern stations including Harrington and Herculaneum. 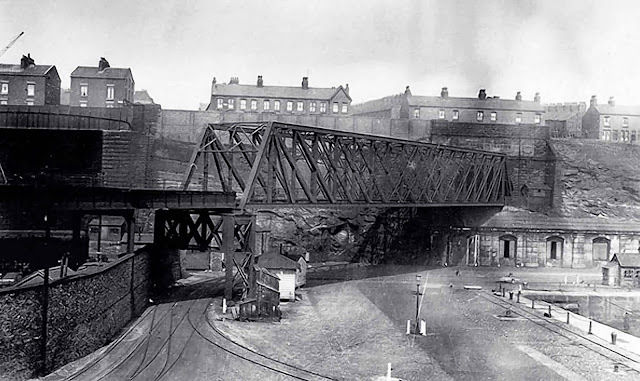 The Cheshire Lines Committee's Railway from Liverpool to Manchester originally built stations at St. James's, St. Michael's, and Otterspool, with a goods station, formerly the passenger terminus also, at Brunswick Dock. The following docks of the Liverpool system were in the township: Queen's, formed 1796, Coburg, Brunswick, 1811, formerly the seat of the timber trade, Toxteth, Harrington, and Herculaneum. To the south there were graving docks, and then the petroleum stores. The Mersey forge stood near the Toxteth dock. The flour mills are further inland. The Herculaneum dock takes its name from a pottery established there in 1796 on the site of a former copper works; it was given up in 1841. On the river side of the Queen's dock were formerly considerable shipbuilding yards. Near them a ferry was in operation for some years. Sefton Park, was formed by the corporation of Liverpool in 1872; a palm house and aviary were added and a statue of William Rathbone, was unveiled in 1877. 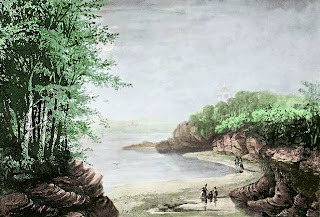 Prince's Park, was purchased about 1840 by Richard Vaughan Yates, with the intention of preserving it as an open space. 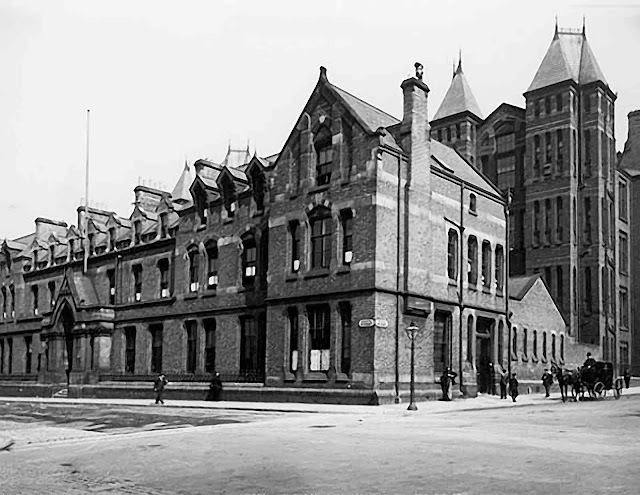 The Royal Southern Hospital was founded in 1841; the first building was in Parliament Street, close to the docks and the building in Grafton Street was opened in 1872. 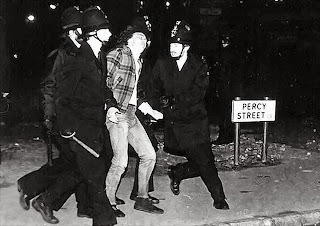 July 1981 saw riots in which dozens of young males caused a great deal of damage and many injuries. Poverty, unemployment, racial tension, racism and hostility towards the police were largely blamed for the disturbances, which were among the worst scenes of unrest seen during peacetime in Britain at that time. Hundreds of people were injured, one man was killed by a police Land Rover, and countless buildings and vehicles were damaged. A second, less serious riot occurred in Toxteth on 1 October 1985. Further rioting broke out in Toxteth on the evening of 8 August 2011 - almost exactly 30 years after the most imfamous riot - at a time when riots flared across England. Vehicles and wheelie bins were set alight in the district, as well as in nearby Dingle and Wavertree, and a number of shops were looted too. Two police officers suffered minor injuries as a result of the rioting. It was brought under control in the early hours of the following morning. Extensive regeneration has taken place in Toxteth over the last few years, including demolition of many of the Victorian terraces in the area. This has created much new development but also scarred the area with cleared sites and derelict streets. Clearance has proved highly contentious, with some taking the view that the houses are beyond rescue, while others believe they are fundamentally sound. Campaigning charities led by Merseyside Civic Society and SAVE Britain's Heritage have asserted that renovation would be preferable and cheaper. By 2009 over 100 residents had been rehoused together into a neighbourhood nearby which they had helped to design. Others had left the area altogether. In 2011 the Secretary of State quashed planning permission for demolition and required an Environmental Impact Assessment. In summer 2012 new proposals for demolition of 250 houses were endorsed by Liverpool Mayor Joe Anderson and Housing Minister Grant Shapps, who visited the area to announce retention of 9 Madryn Street and 15 adjacent homes. Local residents in the Welsh Streets Home Group have consulted on alternative renovation proposals that retain the majority of the houses, remodelled as environmentally friendly eco-homes.